Another season, another railroad. 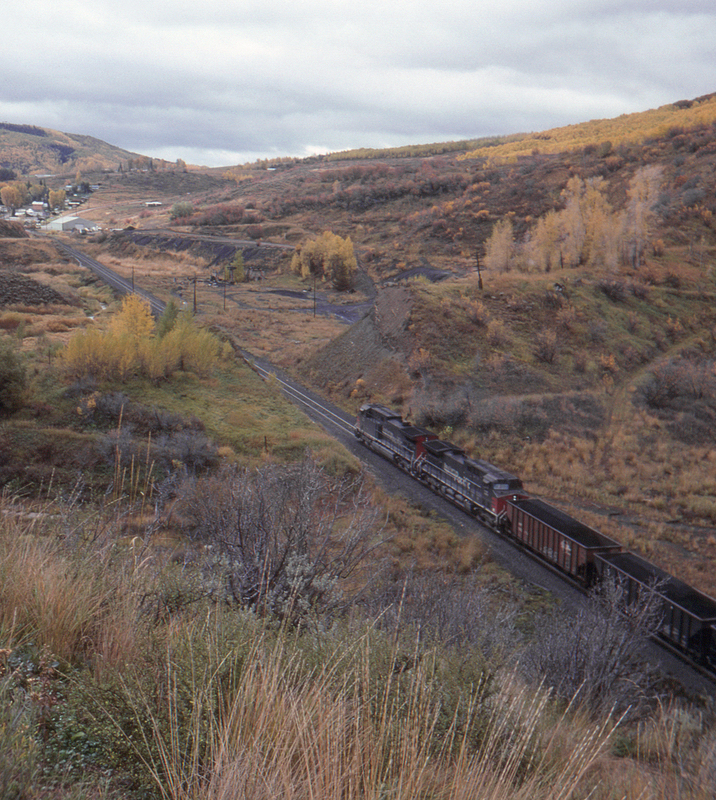 A southbound well-loaded with coal from the mines at Craig, COlorado is seen here north of Oak Creek, this time in early fall. Although the locomotives still Southern Pacific paint the former Denver & Rio Grande Western/Southern Pacific has been part of the Union Pacific system since September 11. This is the former Denver & Rio Grande Western's Craig Branch; prior to that it was part of the Moffat Road (Denver & Salt Lake) mainline which never made it past Craig.